This sub's name gets straight to the point — Focal's K2 Power subwoofer delivers hard-hitting low end that combines realistic reproduction with competition-level sound pressure. Precision engineering and hand-assembled construction make this sub a sound choice for a high-performance bass system. A massive multi-element magnet gives provides the backbone for the sub's powerful reputation — its circular array provides a uniform field across the entire width of the sub, driving the motor assembly with unerring precision. Focal anchors the K2 Power sub with a rugged zamak zinc alloy basket for dependable performance that won't get bent out of shape by your music. At the top end of the sub, a butyl rubber surround maintains control of the cone, even during deep excursion. Focal's unique composite sandwich cone employs a structural foam central core coated with a layer of Aramid fiber on the front and a glass layer on the back side. The three layers together form an incredibly rigid yet lightweight membrane for high-quality sound reproduction with the added emphasis of thunderous sound pressure. You can feed the K2 Power 27KX 11' subwoofer up to 300 watts RMS without fear. This 4-ohm sub works best in sealed enclosures to produce bass that's highly accurate and plenty forceful. 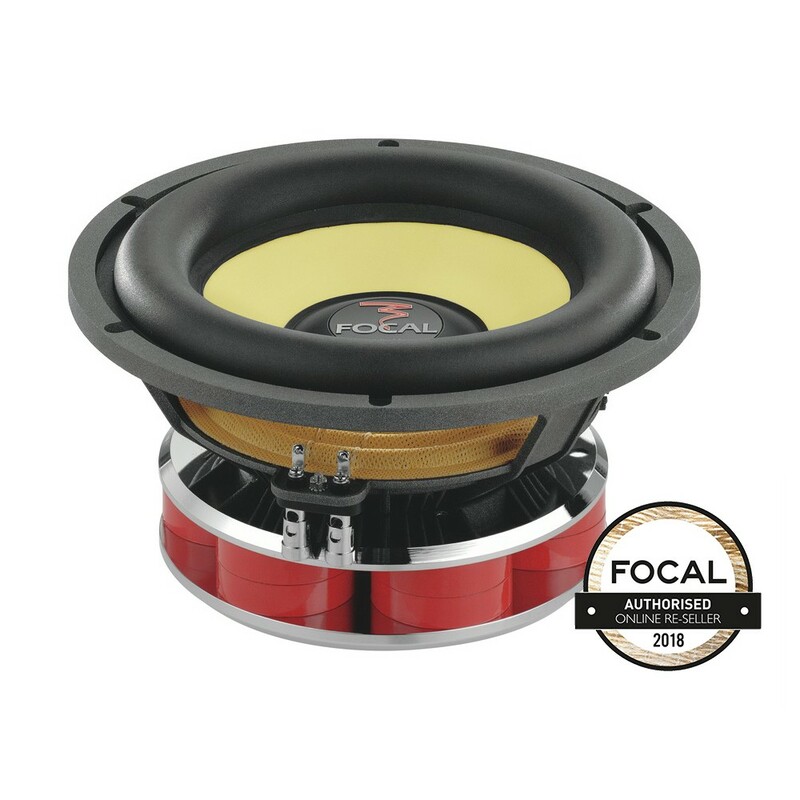 Focal assembles each sub by hand and rigorously inspects them for any flaws to ensure your investment performs to the high sound standards they've set. Will this work really good in mercedes benz e320 1995 coupe ? I have mcintoch amp. Mcc 446 will this work well on this amp? Thanks. As long as the Amplifier has enough RMS power to power this subwoofer it will work.